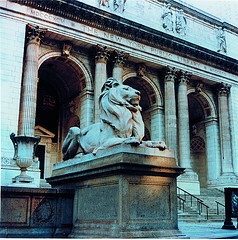 You are currently browsing the category archive for the ‘Literary Sites’ category. If visiting an author house isn’t on your itinerary this summer, do the next best thing—take to the page. These two novels not only feature classic scribes as characters, they use literary landmarks as backdrops. 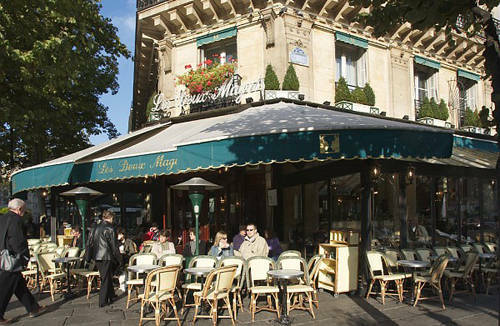 Visits to Hemingway’s Paris haunts, like Les Deux Magots cafe (below left), and Flannery O’Connor’s rural Georgia farm (right) come wrapped up with intriguing storylines. For some of us, that makes for the perfect summer read. Ernest Hemingway’s closest companion during his now-famous years in Paris in the 1920s was his first wife, Hadley Richardson, who makes brief appearances in his memoir A Moveable Feast. Hadley was 28 when she met Hemingway at a mutual friend’s party in Chicago. Nearly a decade older than the aspiring writer, pretty yet plain, educated but far from worldly, she seems an unlikely match for the handsome, charming, dynamic Hemingway. After a whirlwind courtship the two marry and set sail for Europe. 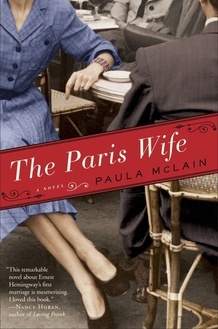 In The Paris Wife, Paula McClain recounts their years in Jazz Age Paris mingling with the likes of Gertrude Stein, Ezra Pound, and F. Scott Fitzgerald before their marriage comes apart. 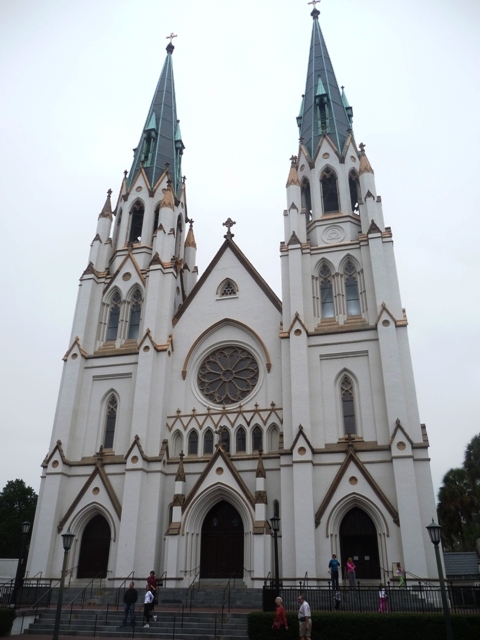 Stricken with lupus at age twenty-five, Flannery O’Connor left New York City and returned to her family’s ancestral farm, Andalusia, in Milledgeville, Georgia, where she devoted herself to writing and raising peacocks, swans, chickens, and other birds. 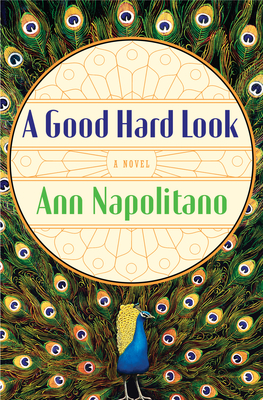 In Ann Napolitano’s novel, O’Connor’s quiet existence at Andalusia is broken up when she strikes up a friendship with the married Melvin Whiteson. He came to Milledgeville to start a new chapter in his life, but when he meets Flannery—who despite her illness is vibrantly alive—he starts to question the choices he has made. 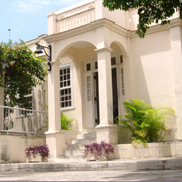 spent his early childhood years in a grand turreted, Queen Anne-style home, now a shrine to the scribe and operated in conjunction with the nearby Ernest Hemingway Museum. wounded by mortar fire. His shrapnel wounds were tended to by a nurse, Agnes von Kurowsky, with whom he fell in love. Their relationship inspired his novel about a doomed wartime romance, A Farewell to Arms. Agnes’ rejection letter to the brave warrior is on display at the Ernest Hemingway Museum. July 1923 – The insatiable traveler attended his first bullfight during Pamplona’s legendary running of the bulls, returning nearly every year for the rest of the decade to witness the death-defying spectacle. 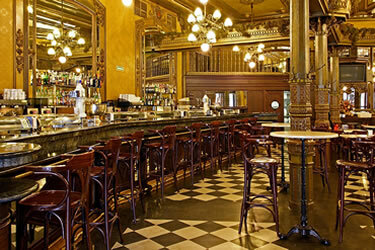 His Spanish sojourns inspired his 1925 novel The Sun Also Rises, which takes place during the annual Fiesta of San Fermin and follows a dissolute band of expats who spend their days drinking brandy and absinthe at Café Iruna. July 1937 – At the White House, Hemingway attended a viewing of the film The Spanish Earth with Franklin and Eleanor Roosevelt. He had become outspoken against anti-fascism after covering the Spanish Civil War for a North American newspaper and co-wrote and narrated the documentary shown to the president. The event was a fundraiser for ambulances for the Loyalist forces fighting Franco. July 1940 – The famous scribe wrapped up For Whom the Bell Tolls, which was published three months later and nominated for a Pulitzer Prize. 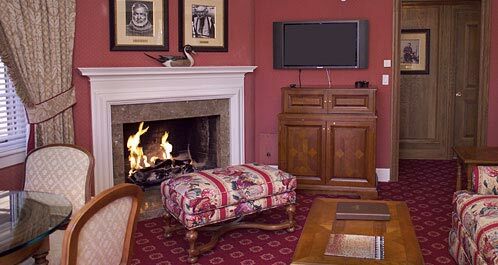 He penned the tale in various locations, including Idaho, where he occupied the Parlor Suite (number 206) at the Sun Valley Lodge. He dubbed the room “Glamour House” and posed there next to his typewriter for the book’s dust jacket photo. Today his picture hangs above the fireplace. 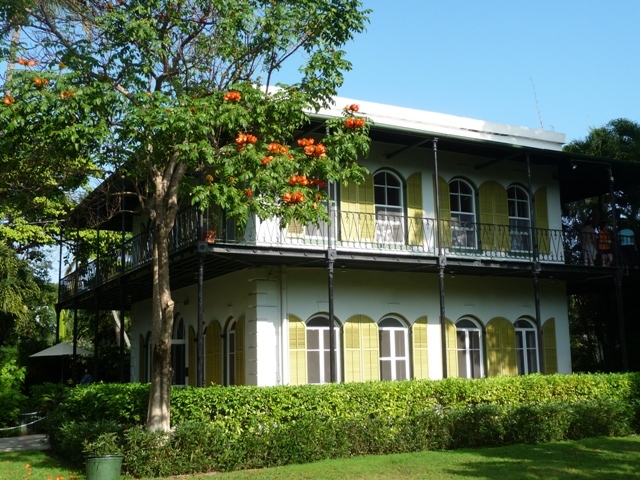 July 1960 – Hemingway left Cuba for the last time after having spent nearly two decades residing on the island, where his refuge was a 13-acre estate overlooking Havana. At La Finca Vigía (Spanish for “lookout farm”), among the works he wrote was The Old Man and the Sea, his Pulitzer Prize-winning tale of man versus marlin. July 2, 1961 – Suffering from debilitating illness and bouts of depression, Hemingway died from a self-inflicted gunshot wound at his home just west of Ketchum, Idaho, 50 years ago. His two-story chalet overlooking Big Wood River has been preserved by the Nature Conservancy and is open to the public only on special occasions. 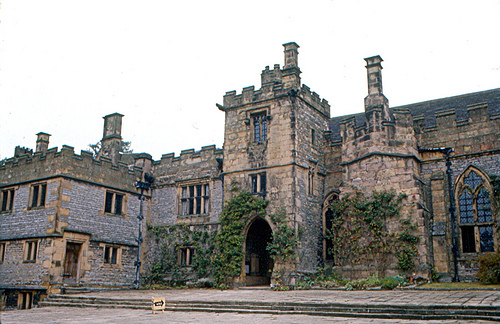 If seeing the film adaptation of Charlotte Brontë’s Gothic novel Jane Eyre, which opened in theaters last Friday, has inspired wanderlust, head for Haddon Hall (below left) in the English countryside. 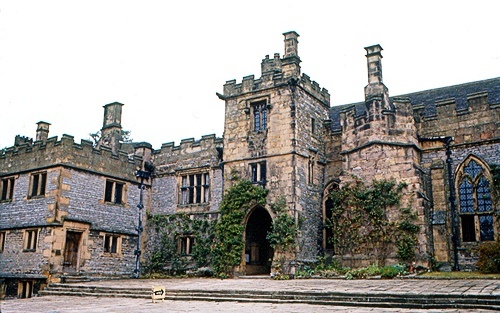 Located in Bakewell, Derbyshire, the stand-in for Mr. Rochester’s atmospheric Thornfield Hall is a fortified medieval manor house and one of the oldest dwellings in England. 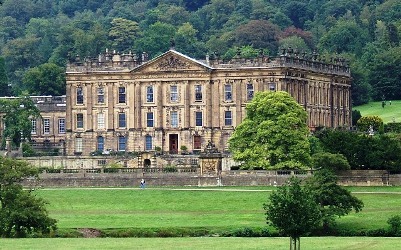 Some scenes were also shot in the gardens at Chatsworth House (below right)—home to the Duke and Duchess of Devonshire—which has appeared on film before. It was used for the exterior shots of Mr. Darcy’s house, Pemberley, in the 2005 movie Pride and Prejudice starring Keira Knightley and Matthew Macfadyen. 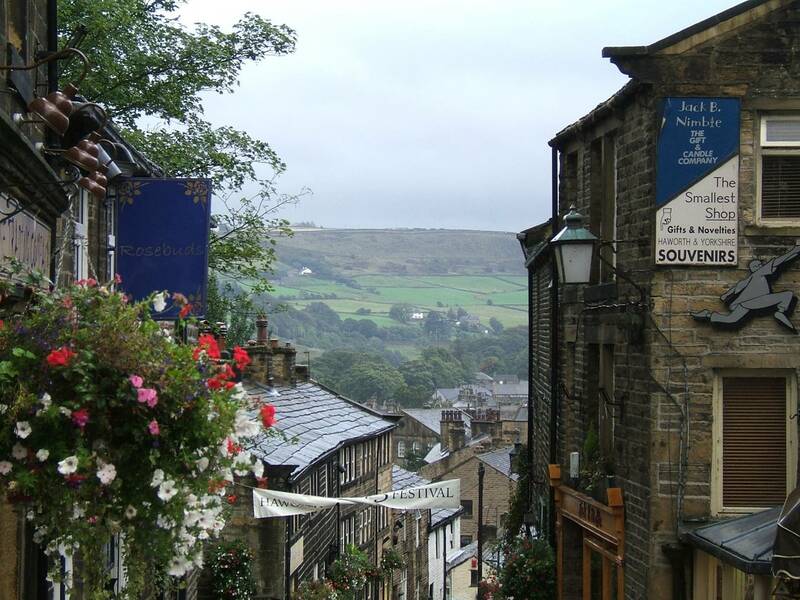 Combine a visit to Haddon Hall and Chatsworth House with a trip to the village of Haworth in Yorkshire, the longtime home of Charlotte and her famous sisters, Emily and Anne. 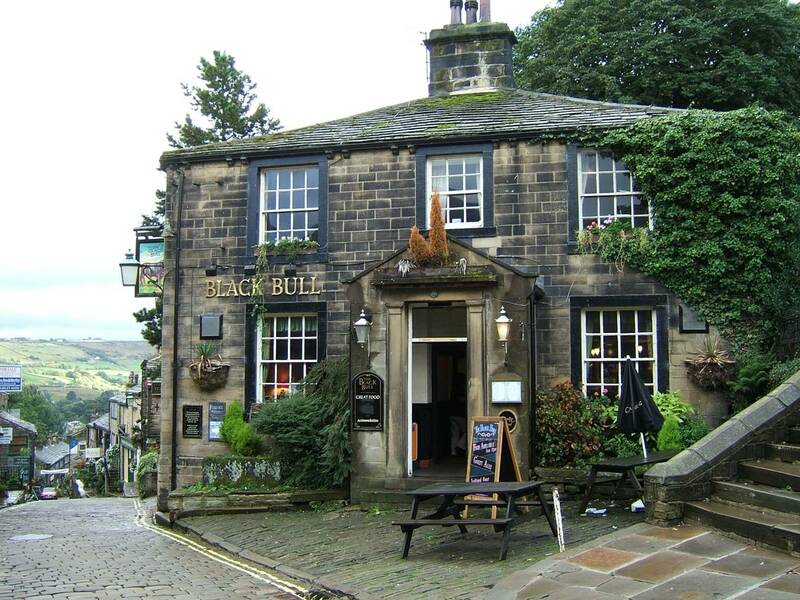 Visit the Brontë Parsonage Museum, housed in the siblings’ former abode; take a literary-themed walking tour of the town; and have a pint or two at the Black Bull, a pub their wayward brother Branwell frequented. 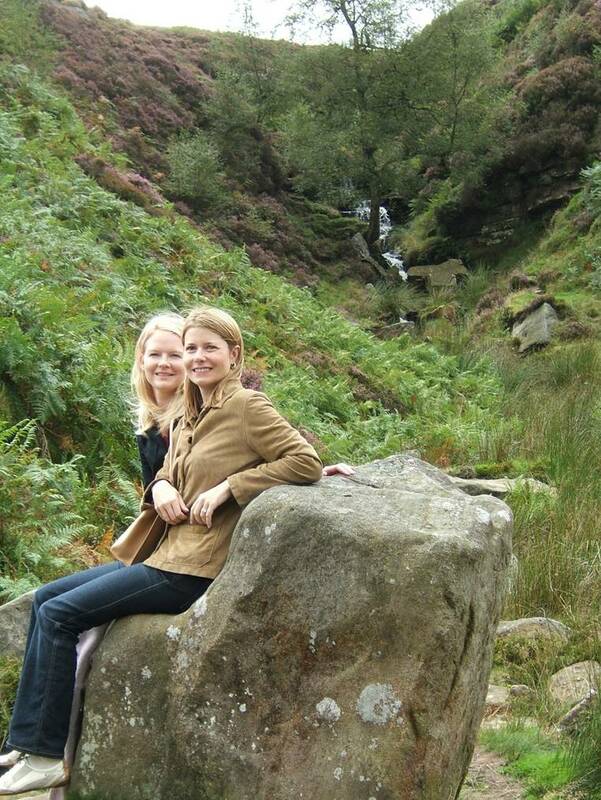 One of the most memorable things Joni and I did on our trip to Haworth was amble along the moors to the Brontë sisters’ favorite destination. The picturesque spot has a waterfall and what has been dubbed the “Brontë chair,” which is a stone slab in the shape of a (surprisingly comfortable) chair. 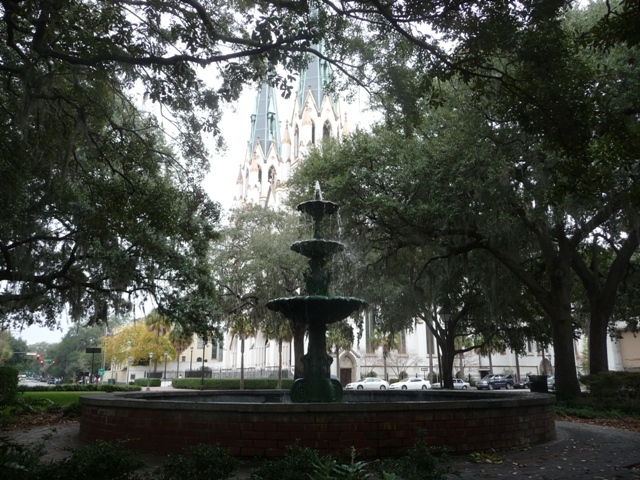 It’s a great place to take a breather after the two-and-a-half mile hike to get there. In honor of Jack Kerouac’s birthday this Saturday, March 12, Time Out New York has a festive tribute to the On the Road author. 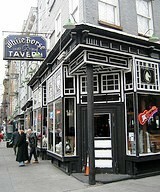 In a round-up of “the spots where he wrote, drank and jammed” are a jazz joint, his one-time abode, and a few watering holes, including one of our favorites–the White Horse Tavern in Greenwich Village. The Ernest Hemingway Home & Museum in Key West, Florida, is the first literary landmark I’ve toured twice. Why? The cats. 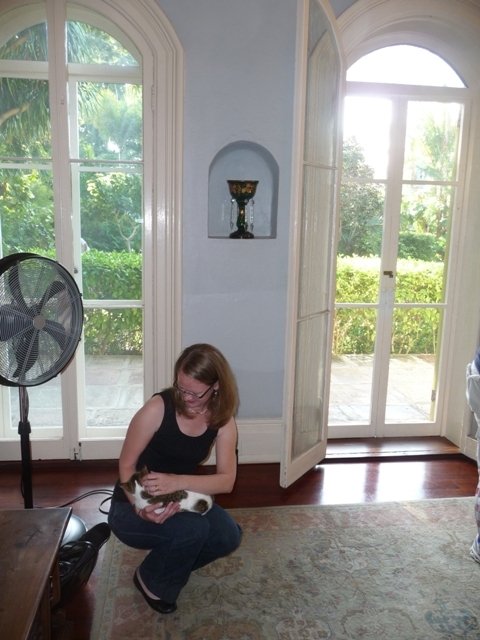 The 50 or so furry ambassadors greet and interact with visitors, as much of a draw as the house’s literary pedigree. 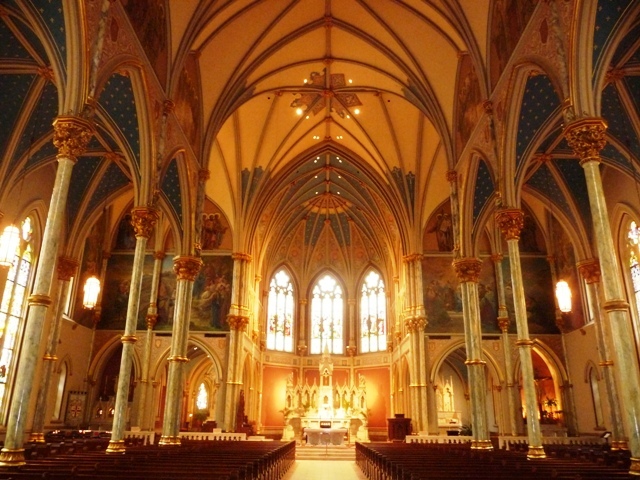 If you’d like to read about my first visit there, click here. It’s more of a traditional take on touring the house and Hemingway- related bars and restaurants on the island. This time around, it was about finding out what was new (mostly feline-related) and taking in details I’d previously missed. Here are some random impressions about Hemingway’s Key West, Take Two. 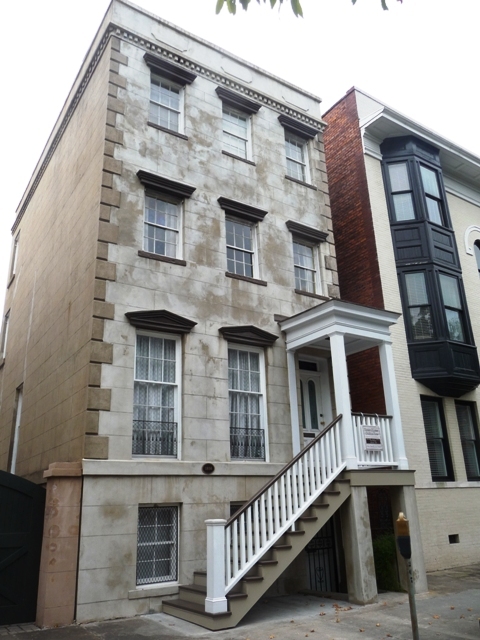 Fats Waller (named for the jazz musician) is one of the three most recent residents. We made fast friends, and I even briefly considered smuggling him out in my oversized handbag. 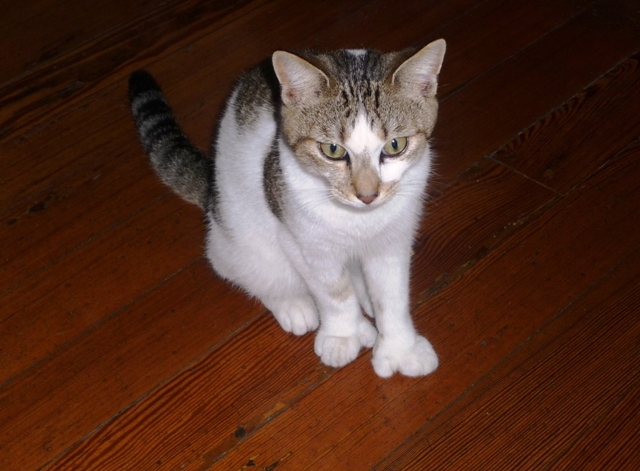 He has six toes, as do many of the other cats, a trait passed down from their ancestor and Hemingway companion Snowball. Sadly, I learned that the beautiful, fiery-orange Archibald, who reigned as the top cat, has passed away. The distinction now belongs to Marlene Deitrich (above right). 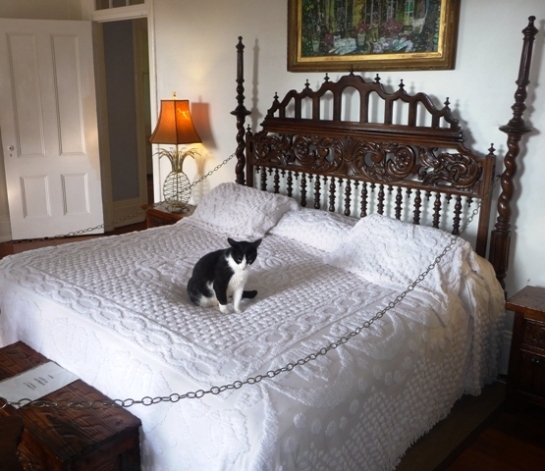 She wasted no time in claiming the perk that comes with this lauded position: dibs on the bed in Hemingway’s bedroom. She looks annoyed—I think we disturbed her nap. 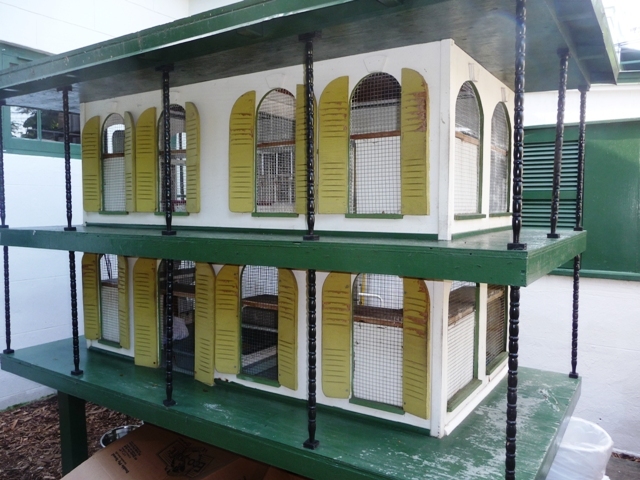 How adorable is this feline-sized replica of the house? Of course, the cats actually have the run of the real thing so I don’t think they’re as enamored with it as I was. The tour was just as fascinating the second time, a testament to the excellent and entertaining (human) guides—who are more than willing to keep the tales flowing if you stop by the porch near the front door after seeing the house and grounds. One of the guides, with his rugged, weathered face and sailor cap, looked like he could have stepped from the pages of a Hemingway novel. He had a (tall?) tale of his own: He was heading south when his boat broke down in Key West; two decades later, he’s still on the island. 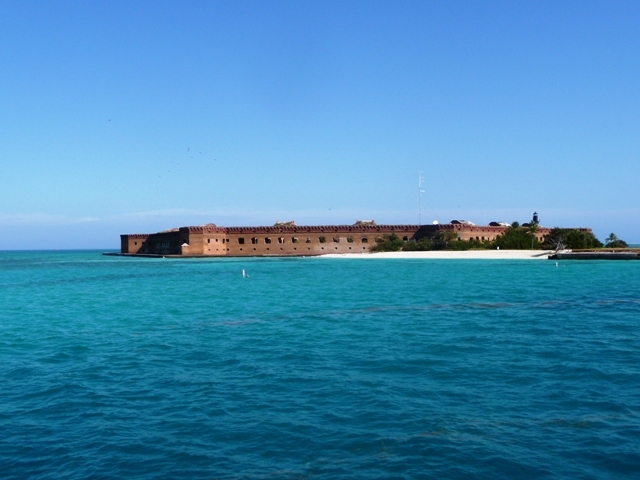 Sloppy Joe’s and Captain Tony’s are the most well-known of the island’s pubs associated with Hemingway. 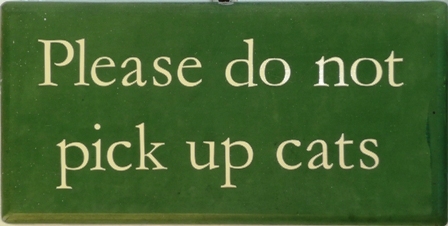 But just down the street from the writer’s abode is the Green Parrot, where he pulled up a barstool and threw back a few. 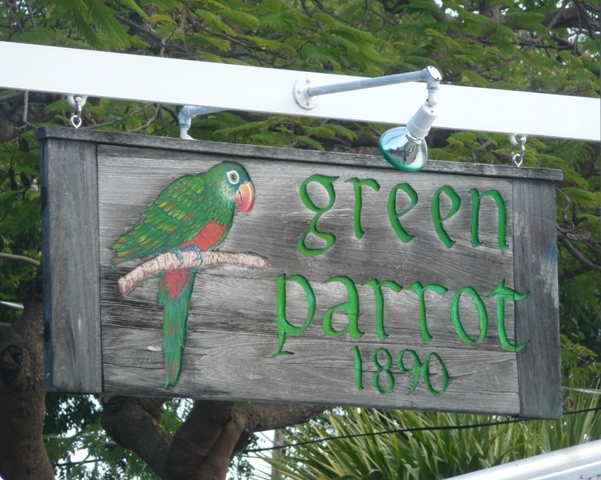 Far from bustling, crowded Duval Street, Key West’s main thoroughfare and home to those other famed watering holes, the Green Parrot is more of a local hangout. 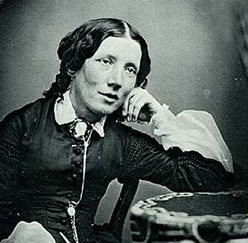 Are you related to Harriet Beecher Stowe? 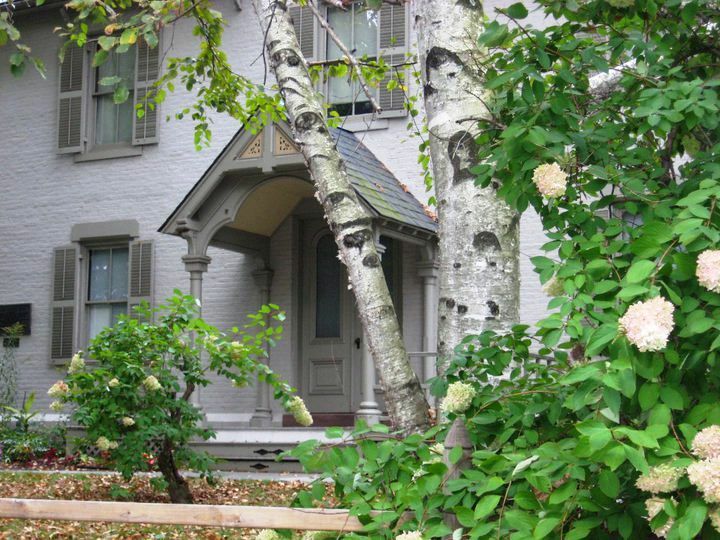 As part of its celebrations this year to commemorate the writer’s 200th birthday, the Harriet Beecher Stowe Center in Hartford, Connecticut, is hosting a get-together for her family members. “Branching Out: A Gathering of Stowe’s Family” is scheduled to take place in June. Even if you can’t claim the writer in your family tree, there are plenty of reasons to visit the Stowe Center. 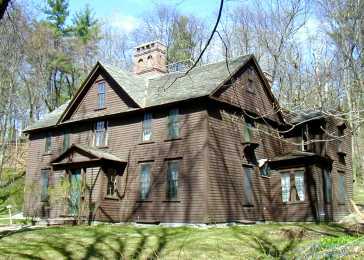 One is to take a tour of Stowe’s last residence, a Gothic-style house where she lived for more than two decades. 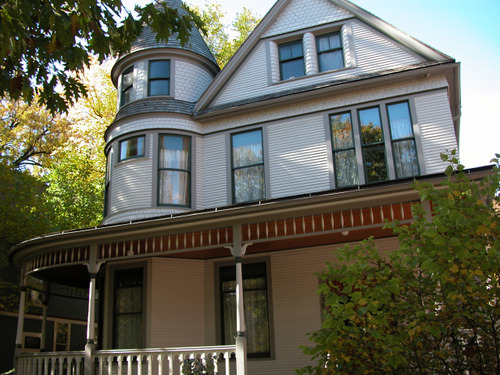 It’s located in Hartford’s Nook Farm neighborhood, an enclave of writers and intellectuals that included Mark Twain (his mansion is next door). Although Stowe once described herself as “retired and domestic,” her novel Uncle Tom’s Cabin caused a furor across the country and overseas. She was inspired to write the book after the passage of the 1850 Fugitive Slave Act, which made it a crime to assist runaway slaves. Uncle Tom’s Cabin, published in 1852 and selling 10.000 copies its first week, changed how Americans viewed slavery and is credited with galvanizing the abolitionist movement. In its first year, 10,000 copies were sold in the U.S. and 1.5 million in Great Britain. 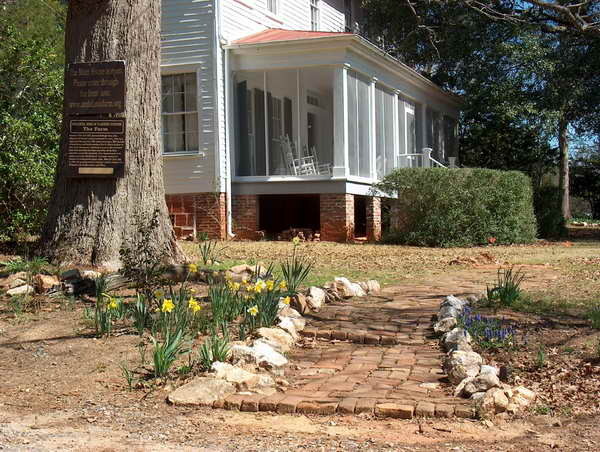 The tour does an excellent job illuminating the impact and legacy of Uncle Tom’s Cabin, and it also goes beyond the success of Stowe’s best-known book to reveal the different aspects of her career and her personal interests. 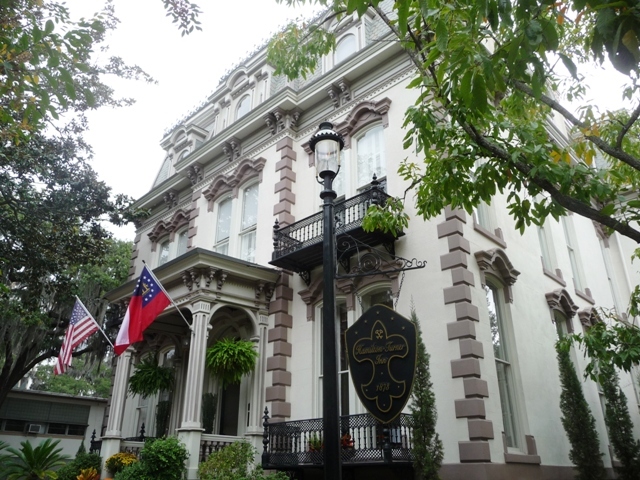 She wrote numerous other works, including the domestic guide The American Woman’s Home with her sister (“the Martha Stewarts of their day,” according to our guide). 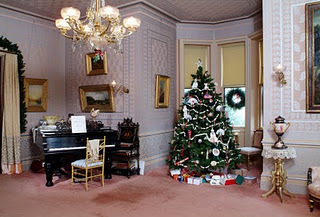 Adorning the house are some of Stowe’s paintings, along with decorative pieces brought back from her European travels. The Stowe Center regularly hosts a robust schedule of events, including a monthly book club discussion on classic and contemporary works, a walking tour of the historic neighborhood, and themed seasonal tours such as “Stowe and Women’s Rights” in March. See the full calendar here.